I’ve barely gotten through the first 20 pages of Mark Levin’s new book, The Liberty Amendments, and I’ve confirmed again that Mark and I are on the same wavelength. Hopefully I’ll have time to read a bit this week and get through the book. Heck, I’ll make time … will you? 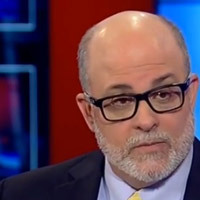 Levin seemed a bit timid on Sean Hannity’s show compared to his flare on radio, but watching the full interview is worthwhile. You can buy the book on Amazon. 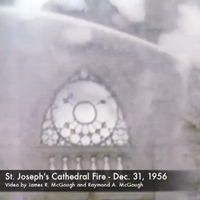 https://radioviceonline.com/wp-content/uploads/2013/08/square-mark-levin.jpg 200 200 Steve McGough https://radioviceonline.com/wp-content/uploads/2011/02/rvo-logo-4-300x100.jpg Steve McGough2013-08-18 10:03:232013-08-18 10:03:23Mark Levin: "The Liberty Amendments"
For what he advocates to go forward we need media involvement in encouraging a grassroots discussion about a Constitutional Convention and that ain’t ever happening. What he outlines sounds good though.? Unfortunately it’s going to be impossible to get most folks to see the government for what it really is in order to impress the urgency of moving forward to reaffirm the Constitution instead of allowing it to be progressively nullified..
As long as the people are getting a stipend subset y of some kind they are going to keep voting for the socialist party. The socialists are simply buying them. The one thing that “could change the country around is the media being honest instead of the party leaders. Stinkfoot Hit the bulls eye with one shot. Think about what a Constitutional Convention is for a minute.? Everything is out on the table.? The old and the new.? In a country where the left has control over a huge block of politicians with the blessings of an apathetic public, do you really want the 2nd, 1st, 4th, amendments sitting out there on a table waiting for the trash bin??? This is not a good idea. This “discussion” strikes me as being like what we do in CT,? we continue to not enforce the laws we have and make new ones.? A CC is exactly that – we’ll re-arrange the Constitution and continue to not enforce it.? The key here is ENFORCEMENT.? @Steven – Did you read the book? In no way, shape or form did Levin suggest a Constitutional Convention. I was responding to the comment prior to mine.?? 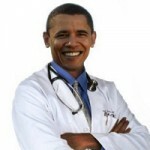 Obama – “Health insurance … is your right” Say what, Mr. President?